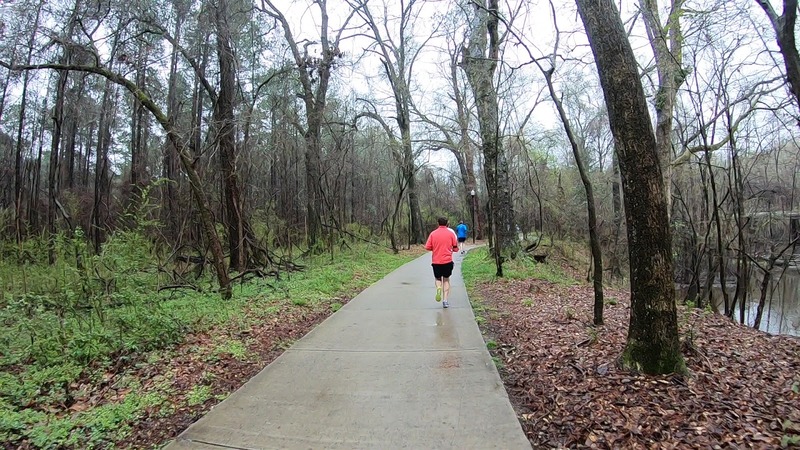 You may have seen my running videos. Usually I do a race every week or two and upload a montage of it later that day or the next, but there are the rare days where I record two events on the same day. March 9th was one of those rare days. When I usually sign up for a race, I look at my calendar to see if I’m free that morning, pay the fee, and block that date out. 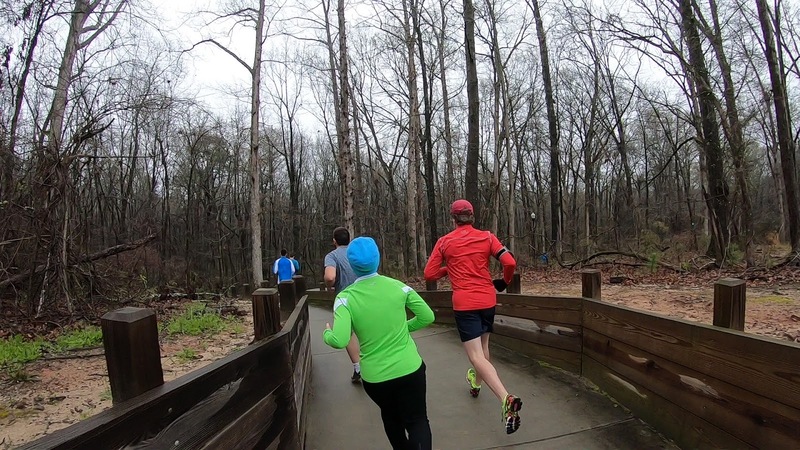 But for March 9th, two races were scheduled, and both supported great causes. I first signed up for the March for Meals 5k, supporting Senior Resources Inc. and their Meals on Wheels program. I’ve done this particular race off and on since 2015, mostly because Army commitments would prevent me from running each year consecutively. 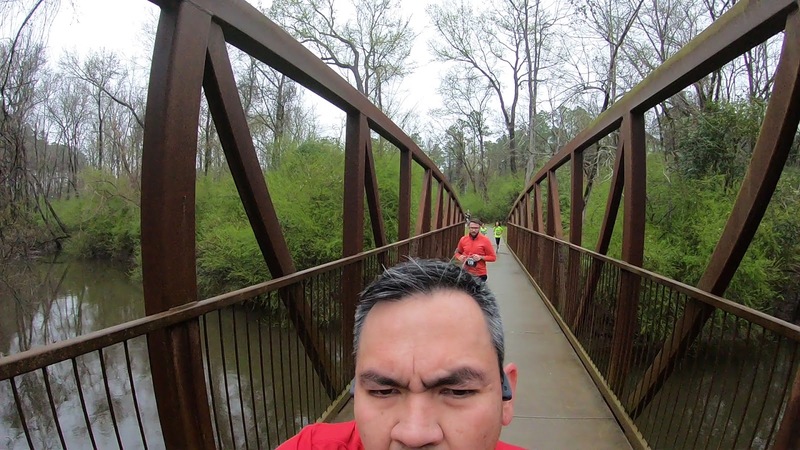 Besides the opportunity to donate and help senior citizens, this race takes place in one of my favorite running areas: the Timmerman Trail. 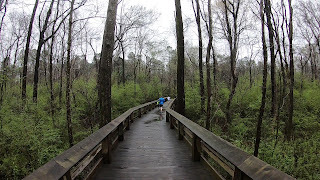 It’s a pretty relaxing paved trail that spans over several wooden foot bridges and a few concrete & iron bridges as well. 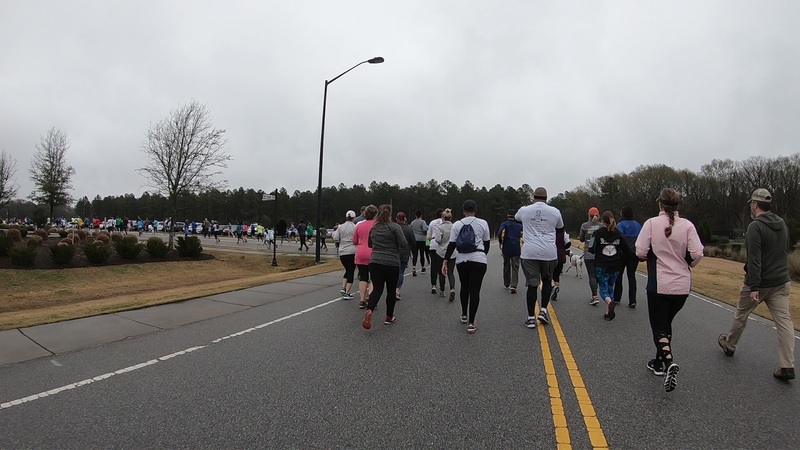 The March for Meals 5k starts in front of an activities center and has you running on a road for the first half mile until you get to the Lexington Medical Center’s administrative building parking lot. 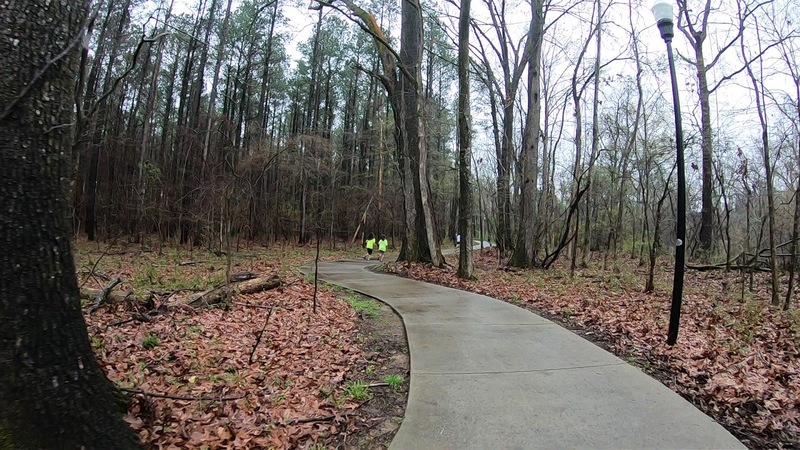 It’s a very nice, scenic path through the woods and overlooks a few creeks along the way. 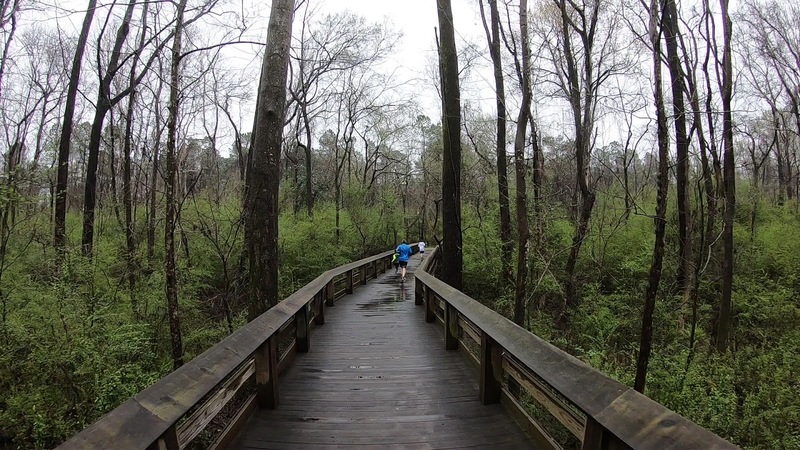 While the 5k route didn’t allow us, there are parts of the Timmerman Trail that also run alongside part of the Congaree River for a bit. The race itself was nice, the medals are pretty distinct from others in that place winners get a plate or a medal spoon. I did well enough a few years ago to earn one, and it is still one of my more treasured trophies. This year, Senior Resources showcased their newly acquired taco truck and all participants received a free taco, be it beef, chicken, chorizo, or veggie. This was a big bonus for doing the race. The shirt was an improvement this year as well. In previous years, the race shirt was a long sleeve Hanes t-shirt. This year, the shirt was made of a thinner material. The crowd. Just beyond them was the parking area. In fact, the only issue with the race is the parking, and how to get to the parking area. Each year, participants end up driving through the start/finish line to get to the dirt parking lot. Most times, this is not an issue, but as it gets closer to race time, people gather at the start line and you always have one or two cars show up to park, in which everyone has to get out of the way. There is another way to the parking area, so hopefully, volunteers at next year’s race can direct people to go that way instead. As for the race, I ran a decent 8:15 average mile. There were a few hills in there, but nothing like downtown Columbia, Charlotte, or even Atlanta. However, I didn’t expect to push myself since I had a race that night and halfway through the morning run, I decided that I should range-walk or jog the second race. That didn’t happen. 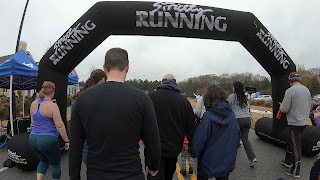 The second race, the Run for Her Life 5k, was a charity race for the Lighthouse for Life to raise awareness regarding domestic underage human trafficking. 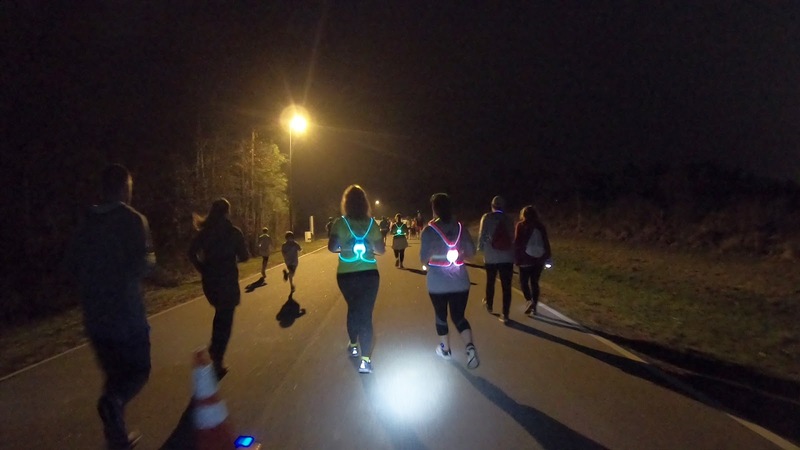 And this race was a glow race which took place in Saluda Shoals Park. 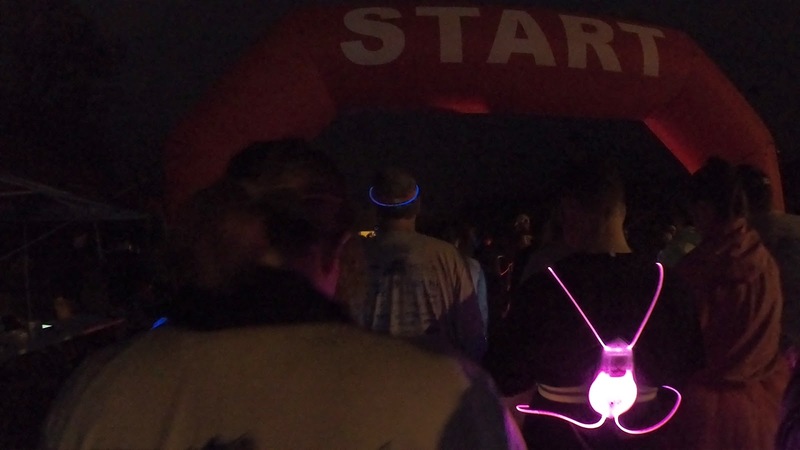 There’s something about glow races that brings people out of the woodwork. It was packed, but I could hear the DJ playing in the starting line area, packet pick-up went great, and the race shirt was a tech shirt (a big plus in my book). 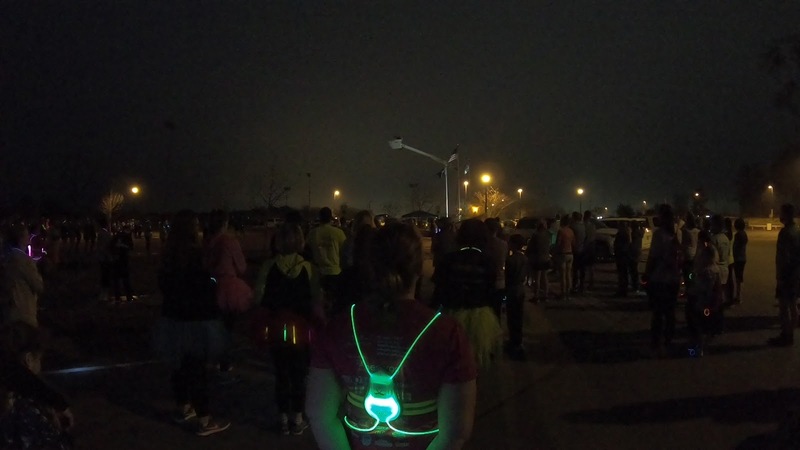 but once the horn went off, I got swept up in the enthusiasm, eagerness, and festive mood from other people and I started to run faster. 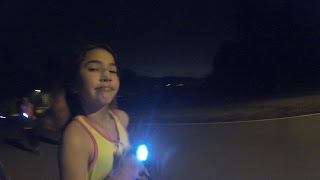 My daughter wanted to run as well, so she brought off from my wife. 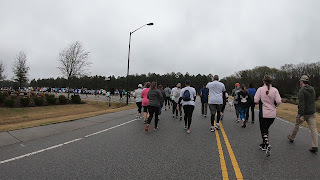 I didn’t catch Tori until about half a mile into the race because of the crowds. Once I got alongside my youngest, I stayed with her, and she was such a trooper. 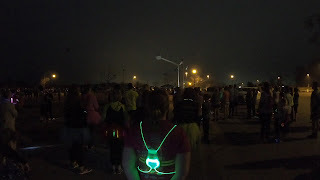 We enjoyed the glow lights along the course, partook in the water stations, and most of it kept each company. 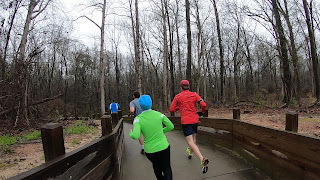 While I averaged a 10:15 mile with my daughter, the important thing was that I ran almost the entire race with her. Tori walked a little, but she kept going and finished strong. 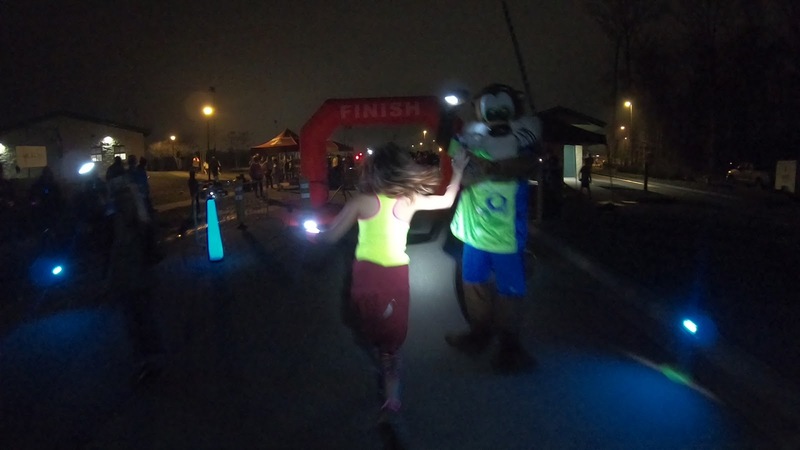 I got to see my little 10 year old cross the finish line with the heart of a lion, and she made me so proud.